The trick to training, if there is one, is to do enough to trigger an optimal training response without doing so much you set yourself back. I went just one round too many in sparring this past Sunday...and suffered an injury as a result. I was tired, but I felt like I had a little bit left in me . . . but it was too little. A strong move by my partner ended with a knee in my ribs and a rib injury that will take me out of training for about a week. One extra round Sunday, costing me rounds and rounds of training in the long run. That's the trouble with trying to maximize, instead of optimize, your training. I went one extra round because I though it was possible - not optimal, but possible. I'll be thinking about this as I rest up this week. 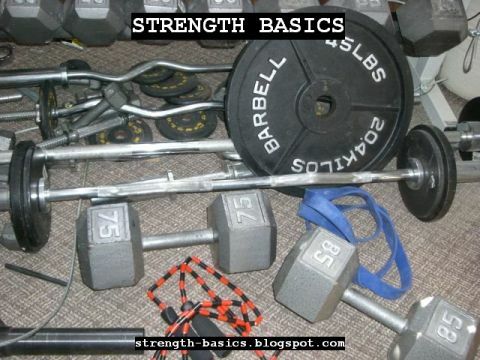 That said, Strength Basics will resume normal posting tomorrow morning.